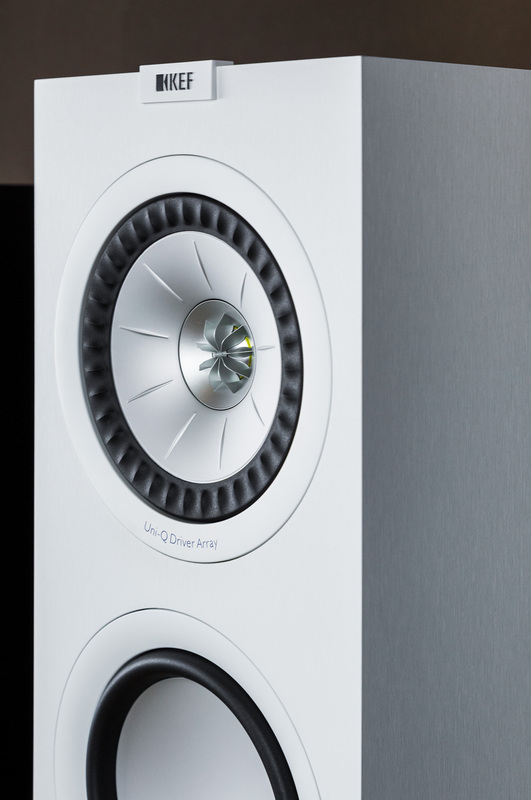 The re-launch of the Q-Series is based on the signature KEF Uni-Q driver, but also on the design of the tested loudspeakers. 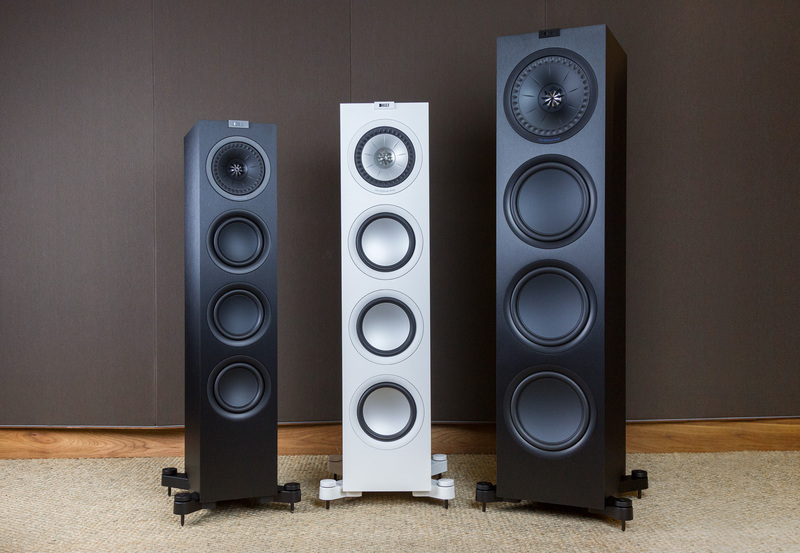 The series includes two compact speakers (Q150, Q350), three stand-alone speakers (Q550, Q750, Q950) and a center speaker (Q650c). Available in black and white with matching driver colors. The heart of the Q-Series is and remains its Uni-Q chassis. This is a concept which is to be as close as possible to the ideal of a single point sound source and which unites the midrange and midrange speakers. Due to the coaxial design, the two work together perfectly and create an ideal sound field, because the sounds reach the ear at the same time. If the mid- and mid-tones do not come from a common point, sound delays occur – this is bypassed with the Uni-Q chassis. Since the bass does not spread out in the room, this is not included. The ventilated tweeter can be found in the middle of the midrange. The result is an excellent, dynamic sound image. The dome has been stiffened so that distortions are shifted outside the audible range. The listener reaches precise tones – regardless of where in the room it is. KEF has also taken care to minimize noise coming from the rear of the tweeter. Because of the self-resonance, the tweeter was dampened. Furthermore, the Tiefton drivers have a larger rubber bead, which in combination with a basket suspension brings a more accurate bass reproduction. Also, the mid-range drivers as well as the passive woofers have been improved to create a balanced bass. The powerful bass reproduction is supported by a reinforcement of the case. For a fast resonance at low frequencies, the mid / woofers like the Uni-Q chassis are made of aluminum. Instead of a bass reflex tube KEF works with a closed housing and passive diaphragms. These do not have a drive like a voice coil but work against the housing volume. The passive woofers, so-called auxiliar woofers (also ABR, from the English for Auxiliary Bass Radiator), ensure that no flow noises occur. Thanks to the loudspeaker design, the listener expects a clear sound, which is easily audible thanks to the large beam angle in the room. 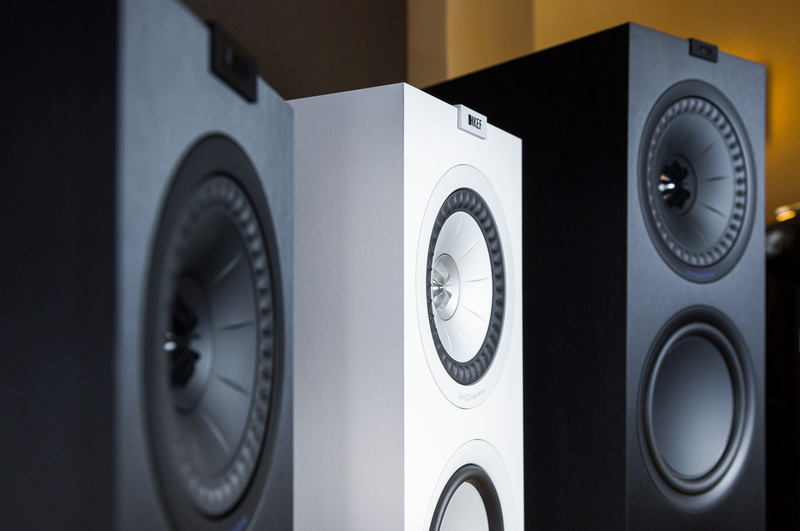 With the new Q Series, KEF has created loudspeakers that produce a clear three-dimensional sound. Whether you want to listen to music or film sounds, the models give a precise, natural sound. In addition, one notices the hifi devices to details such as gold-plated connectors and environmentally friendly materials, in addition to the benefit of sustainability. 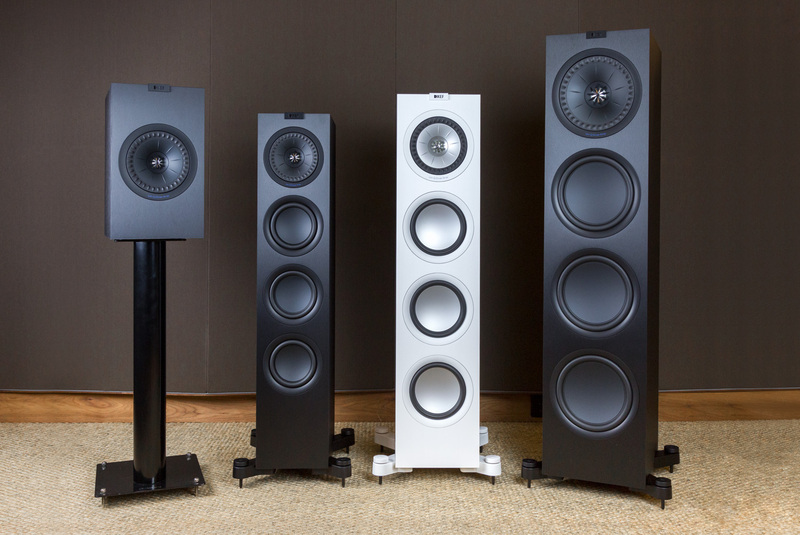 The Q Series – speakers that want to be heard!